Oil-free rotary screw compressors use two meshed rotating positive displacement helical screws to force the gas into a smaller space for commercial and industrial applications. Atlas Copco’s Z 55-90 VSD Pack and Full Feature ranges power your production with ultimate reliability and efficiency under the harshest conditions. The first air compressors in the world to be certified Class 0 according to ISO 8573-1 edition 3, 2010, they ensure completely oil-free air to protect your process and end products. Several energy saving features – Variable Speed Drive, energy-free MD dryers and energy recovery – are offered. Z 55-90 VSD compressors are all-inclusive, plug-and-play packages that ensure easy and low cost installation and a quick start-up. * Highest reliability – For over 50 years, Z compressors stand for durability and reliability. They incorporate Atlas Copco’s proven screw technology, stainless steel coolers, AGMA A4/DIN 5 gears and state-of-the art electrical drive systems, all of which contribute to overall high reliability. Z compressors are built using long-standing internal engineering practices, and are manufactured and tested according ISO 9001. * Certified 100% oil-free – Z 55-90 compressors provide you with 100% pure, clean air that complies with ISO 8573-1 CLASS 0 (2010) certification. CLASS 0 means zero risk of contamination; zero risk of damaged or unsafe products; zero risk of losses from operational downtime; and zero risk of damaging your company’s hard-won professional reputation. In 2006 Atlas Copco was the first manufacturer in the world to receive such certification on an oil-free compressor. * Maximum energy savings – Atlas Copco’s unique and time proven rotor coating ensures high efficiency over the compressors lifetime. The state-of-the art air compressor element is powered by a high-efficiency electric motor, contributing to maximum compressor package efficiency. Further optimize your energy savings with our innovative and unique Variable Speed Drive, our energy recovery feature and energy-free MD dryers. * Easy installation – The integrated design of the Z compressor includes internal piping, coolers, motor, lubrication and control system: all supplied as a ready-to-use package. Installation is fault-free, commissioning time is low and no external instrument air is required. * Advanced control and monitoring – To maximize efficiency and reliability, the Elektronikon® controls the main drive motor and regulates system pressure within a predefined and narrow pressure band. The Elektronikon® controller can be adapted to your specific needs with extra sensors, digital contacts, fieldbus, Internet and SMS communication functions. In combination with the ES multiple compressor controller, the operation of your complete compressor room is optimized. Especially in harsh and dusty environments, a reliable supply of 100% certified oil-free compressed air is critical to ensure production continuity. Atlas Copco's low pressure ZE/ZA compressors fulfill this demand by offering a constant air flow at minimal energy costs. Integrated Variable Speed Drive (VSD) variants offer up to 35% extra energy savings by automatically tuning compressor flow to the precise air demand. * Highest reliability – ZE/ZA compressors stand for durability and reliability. They incorporate Atlas Copco’s proven screw technology, stainless steel coolers, AGMA A4/DIN 5 gears and state-of-the art electrical drive systems, all of which contribute to overall high reliability. ZE/ZA compressors are built using long-standing internal engineering practices, and are manufactured and tested according ISO 9001. * Certified 100% oil-free – ZE/ZA compressors provide you with 100% pure, clean air that complies with ISO 8573-1 CLASS 0 (2010) certification. CLASS 0 means zero risk of contamination; zero risk of damaged or unsafe products; zero risk of losses from operational downtime; and zero risk of damaging your company’s hard-won professional reputation. In 2006 Atlas Copco was the first manufacturer in the world to receive such certification on an oil-free compressor. * Reduced energy costs – With an air circuit designed to avoid and reduce pressure drops, the ZE/ZA is built to save energy. Features like VSD drive, a state-of-the-art oil-free compression element, and energy recovery greatly enhance energy savings. * Easy installation – The compact design eliminates the need for extras and reduces installation to an absolute minimum, saving you time and money. Built for easy integration in your existing compressed air network, ZE/ZA compressors are up and running in no time. * Certified 100% oil-free air – ZR/ZT compressors provide 100% pure, clean air, complying with ISO 8573-1 CLASS 0 (2010) certification. CLASS 0 means zero risk of contamination; zero risk of damaged or unsafe products; zero risk of losses from operational downtime; and zero risk of damaging your company’s hard-won professional reputation. In 2006, Atlas Copco was the first manufacturer in the world to receive such certification for an oil-free compressor. * Quiet operation – The vertical layout of the coolers reduces the noise levels from the fan, motor and element. Moreover, ZR/ZT compressors are supplied in a sound-insulated canopy, thus avoiding the need for a separate compressor room and allowing installation in most working environments. * Advanced control and monitoring - To maximize efficiency and reliability, the Elektronikon® controls the main drive motor and regulates system pressure within a predefined and narrow pressure band. The Elektronikon® controller can be adapted to your specific needs with extra sensors, digital contacts, fieldbus, Internet and SMS communication functions. In combination with the ES multiple compressor controller, the operation of your complete compressor room is optimized. * Easy maintenance – The robust air inlet filter offers a long lifetime and high reliability for long service intervals and low maintenance needs. displacement screw blowers, 22-355 kW, 30-475 hp. Atlas Copco’s ZS blowers provide a continuous and reliable supply of 100% oil-free air – certified according to ISO 8573-1 CLASS 0 (2010). Integrating the proven benefits of screw technology, the ZS range will cut your energy costs by an average of 30% when compared to lobe technology. AQ 30-55 / 15-55 VSD: Water-injected screw compressors, 15-55 kW / 20-75 hp. 15-55 kW / 20-75 hp. Atlas Copco’s AQ water-injected screw compressors, available in water-cooled and air-cooled versions, meet your precise needs for pure, oil-free air while offering high-pressure capability and improved energy efficiency. 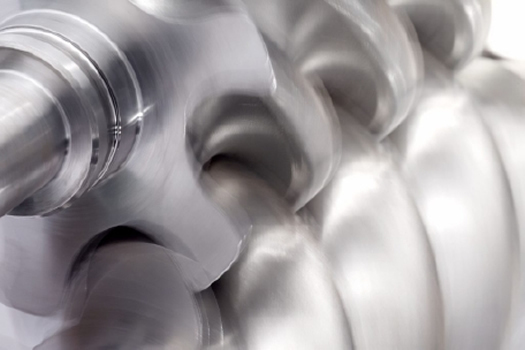 Developed especially for applications demanding the highest levels of purity, such as pharmaceutical production, food processing and critical electronics, AQ compressors eliminate the risks of oil contamination as well as the resulting extra costs. They ensure consistent 100% oil-free air while you benefit from lower operating and maintenance costs with an ISO 8573-1 CLASS 0 (2010) certified compressor. * Certified 100% oil-free air – AQ compressors provide 100% pure, clean air, complying with ISO 8573-1 CLASS 0 (2010) certification. CLASS 0 means zero risk of contamination; zero risk of damaged or unsafe products; zero risk of losses from operational downtime; and zero risk of damaging your company’s hard-won professional reputation. In 2006, Atlas Copco was the first manufacturer in the world to receive such certification for an oil-free compressor. Quiet operation – AQ compressors are supplied in a sound-insulated canopy, thus avoiding the need for a separate compressor room and allowing installation in most working environments. * Certified 100% oil-free air – SF(+) compressors provide 100% pure, clean air, complying with ISO 8573-1 CLASS 0 (2010) certification. CLASS 0 means zero risk of contamination; zero risk of damaged or unsafe products; zero risk of losses from operational downtime; and zero risk of damaging your company’s hard-won professional reputation. In 2006, Atlas Copco was the first manufacturer in the world to receive such certification for an oil-free compressor. * Extremely quiet operation – The slow speed of the scroll compression elements ensures that the SF scroll compressors are exceptionally quiet. With sound levels as low as 53 B(a), the SF is the perfect choice for your sensitive working environment. * Energy efficiency – The SF scroll compressors, standard equipped with IE3 Premium efficiency motors, are suited for sensitive applications which require flexibility and energy efficiency. Unloaded power consumption is eliminated thanks to the simple start/stop control. Advanced scroll technology guarantees an optimal free air delivery and low duty cycle applications. * Low maintenance – SF scroll compressors stand for simplicity and reliability. The scroll design has a minimal number of moving parts, ensuring a long operating life with a minimum number of service interventions. * Advanced control and monitoring - Whereas the SF range includes a standard pneumatic controller, the SF+ range boasts the high-end Elektronikon® controller. To maximize efficiency and reliability on the SF+ compressors, the Elektronikon® controls the main drive motor and regulates system pressure within a predefined and narrow pressure band. The Elektronikon® controller can be adapted to your specific needs with extra sensors, digital contacts, fieldbus, Internet and SMS communication functions. In combination with the ES multiple compressor controller, the operation of your complete compressor room is optimized.